We generally give ourselves an hour to setup but for most venues it takes us around 30 to 45 minutes and around the same time to pack away. Our ideal space for our full setup (shown below) is at least 8ft across and 4ft deep. 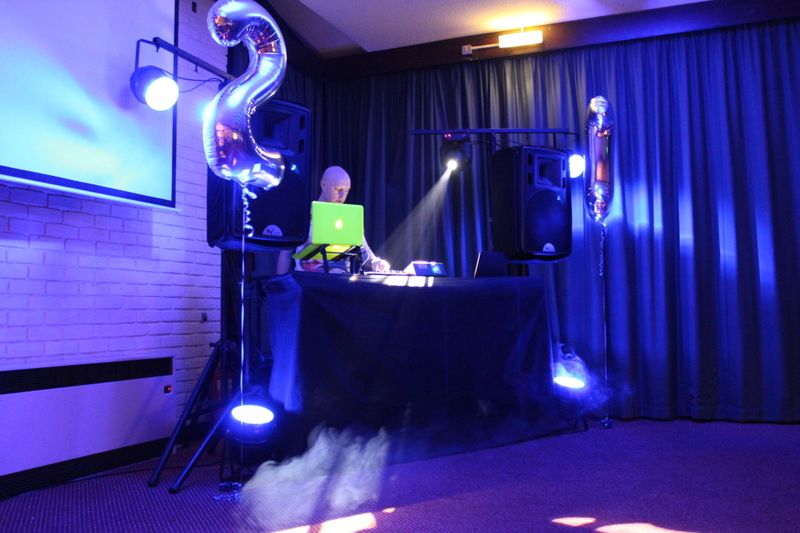 Our setup can be made smaller if required so please just mention this to us when making a booking. 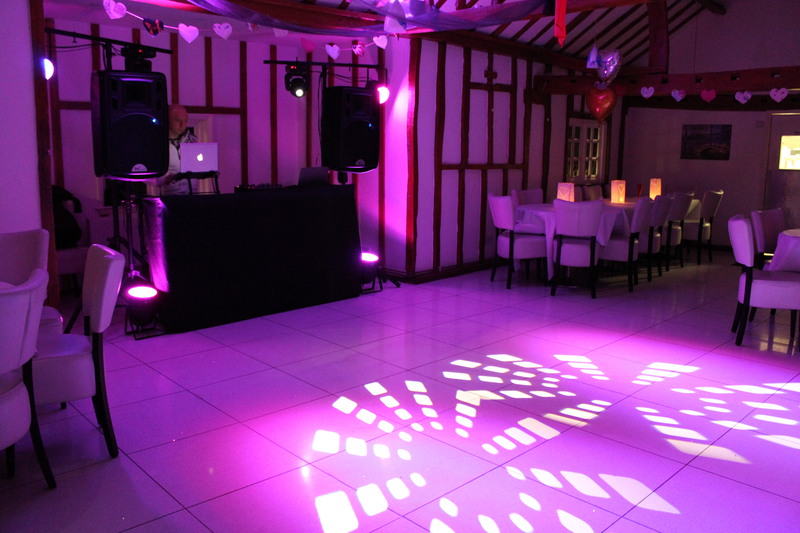 Below are a few videos and pictures of our wedding DJ and birthday party setups. 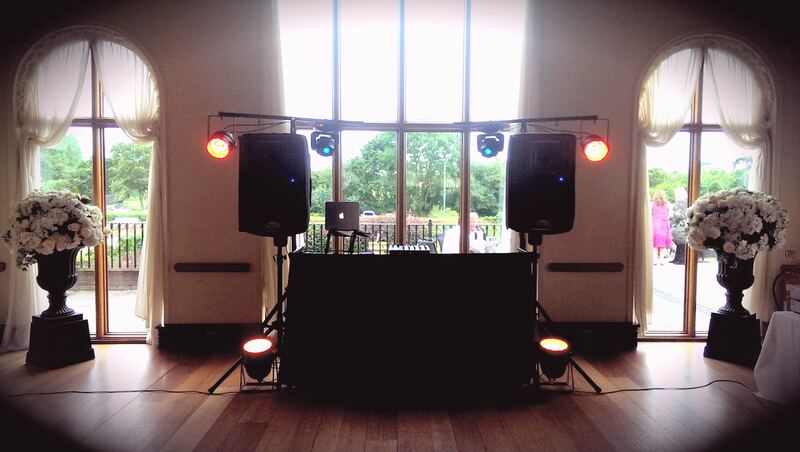 Here’s me and Lee setting up for a wedding at Stock Brook Manor in Billericay. 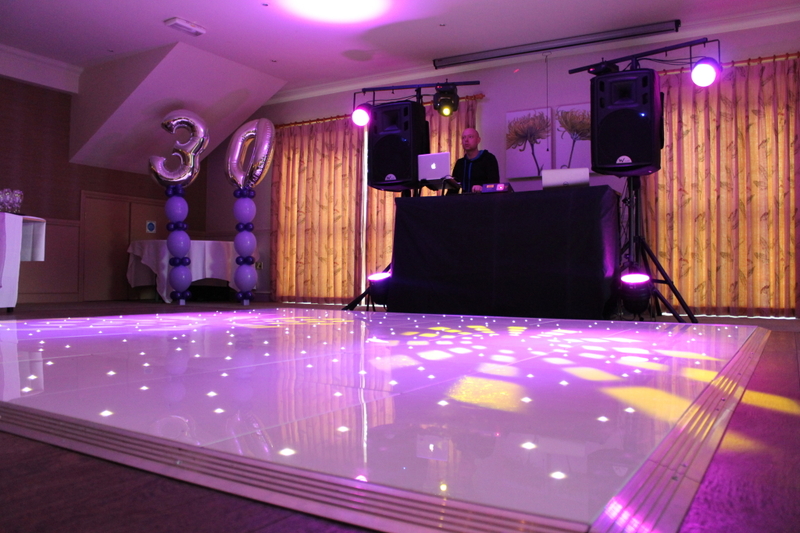 Here is a sped up video of us setting up our mobile wedding DJ rig in a marquee in Chelmsford. We are constantly updating our equipment to give you the best party experience possible. We also only use industry standard brands such as Pioneer, Sennheiser, Apple, Dell & American DJ.